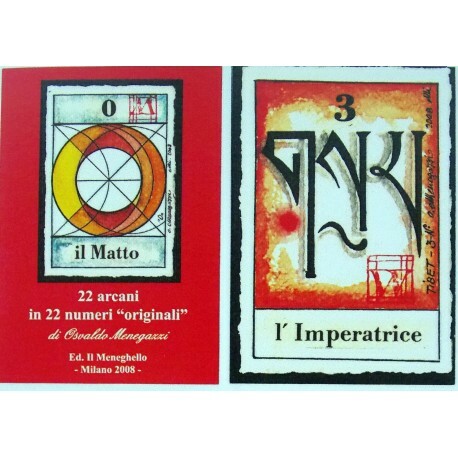 Tarot of Numbers 22 Major Arcana. A Very Limited Edition (250 numbered sets ), Decorated Cardboard Box. 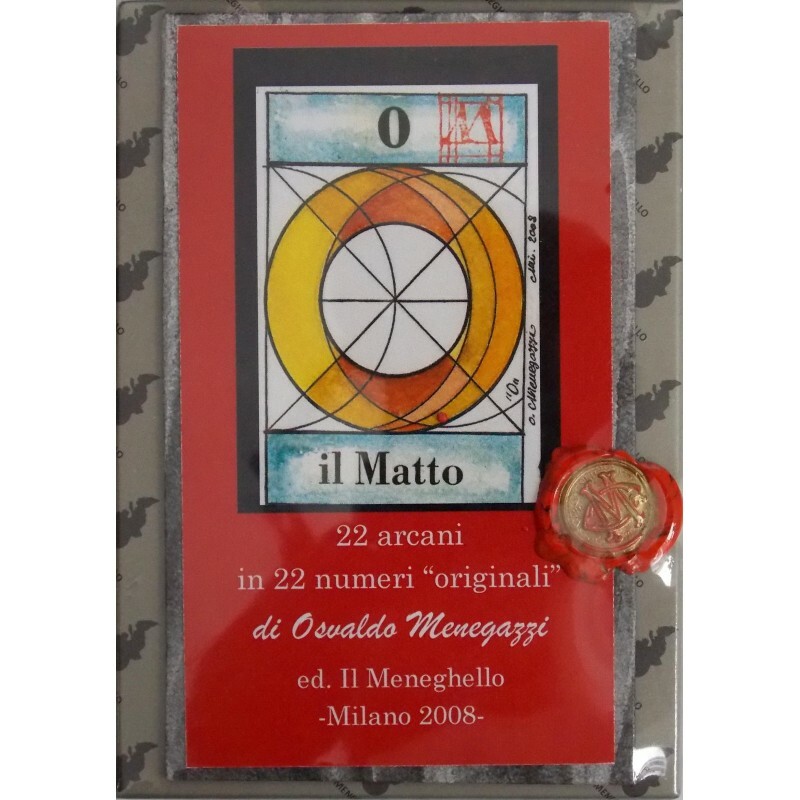 A Very Limited Edition (250 numbered sets ), Decorated Cardboard Box with the il Meneghello hot wax seal. This set became available in late 2008. 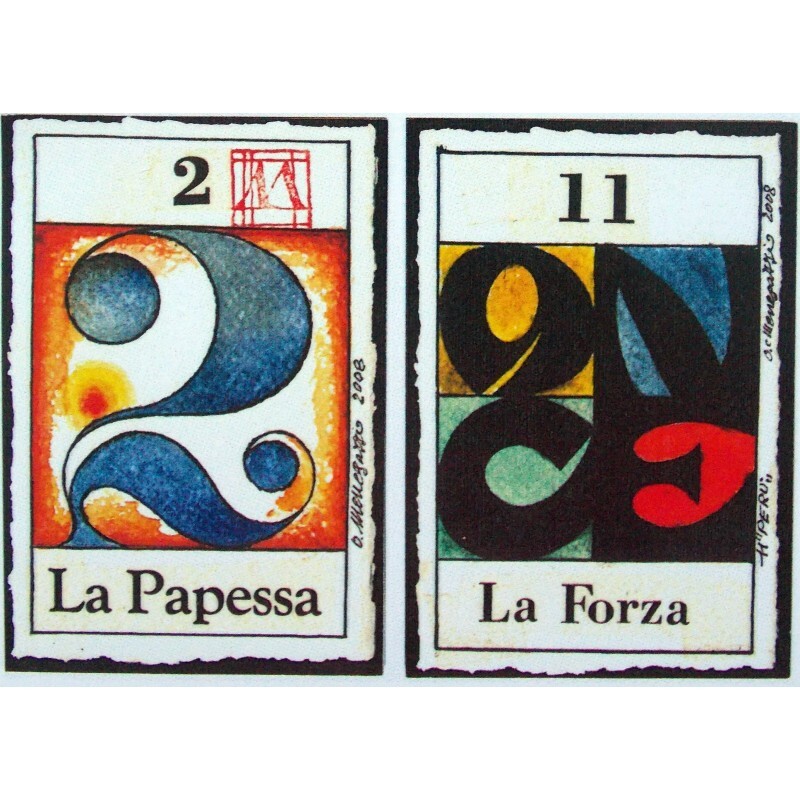 A deck of numbers drawn from many cultures and designed by artisan Osvaldo Menegazzi. 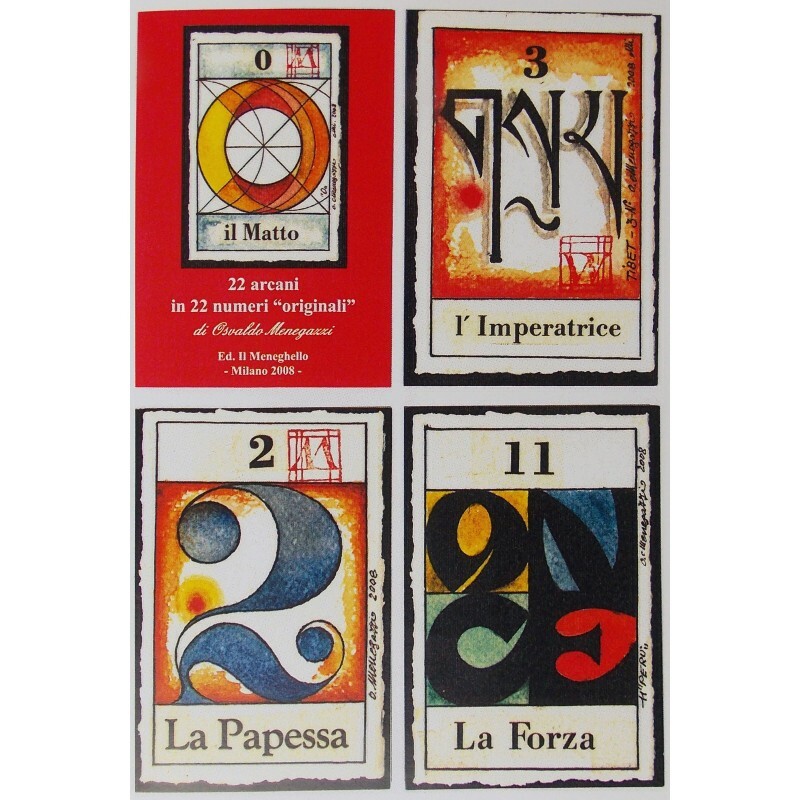 Each number corresponds to and shares characteristics of the meaning of a particular Major Arcana. The box is equally magnificent. Each set has a signed & numbered signature card in beautifully handwritten calligraphy on specialty paper. The deck is wonderfully illustrated and the artwork is mounted on thick cardstock with a dark brown paper wrapping around to the front of the cards and folded down at each corner, giving it a classy, antique look. 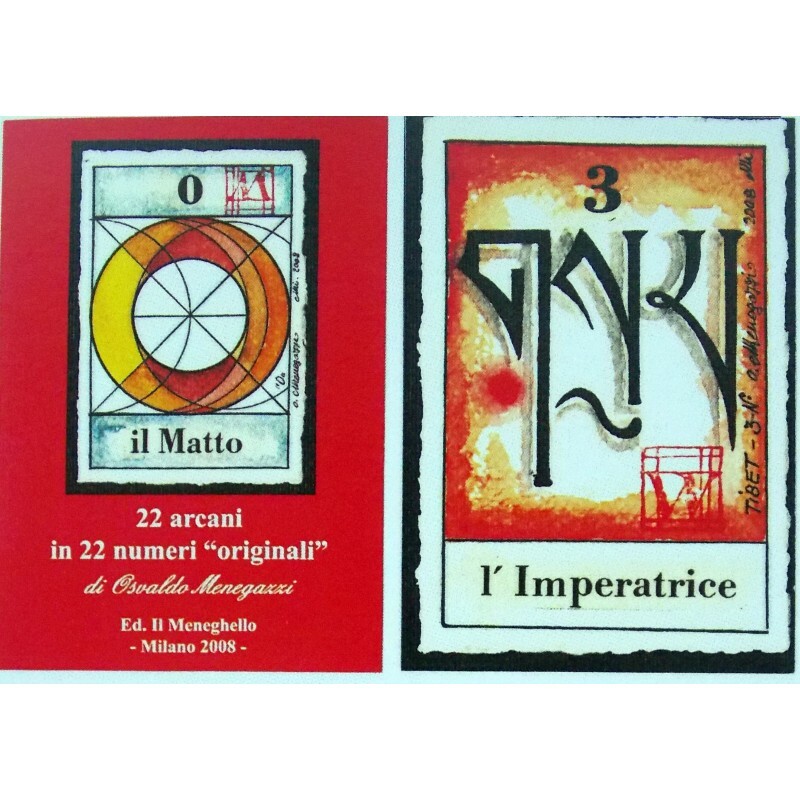 This very limited edition is a rare and wonderful set that any Tarot or art collector would prize!